Childhood trauma affects everyone. It's an ecological and physiological reality. But so is resilience! ​As a community, we can Alter the impact of trauma & create a healthy place to grow and thrive! Join the caring adult network - attend the ican workshops! 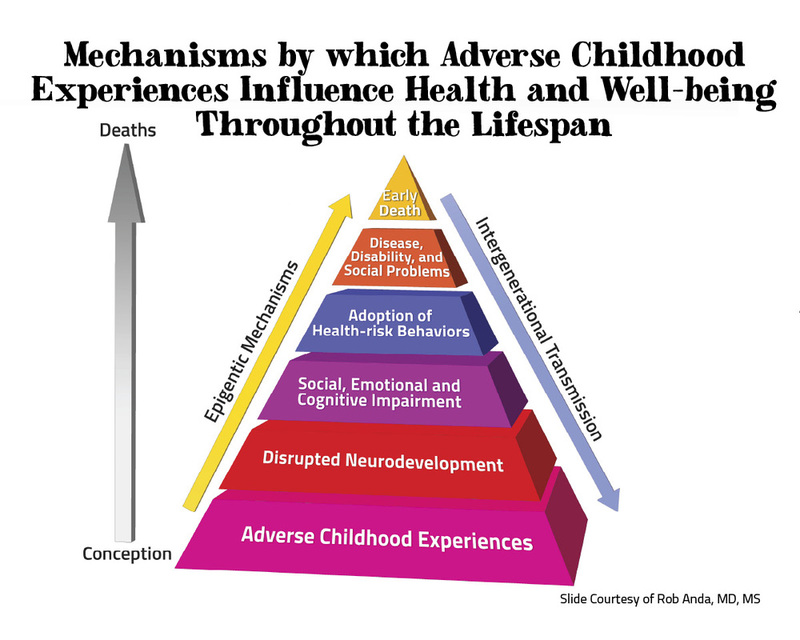 The ACEs (Adverse Childhood Experiences Study) tells us that trauma changes the way a child's brain develops. The impact of stress chemicals like cortisol and adrenalin sculpt synaptic connections that limit feelings of belonging and significance. 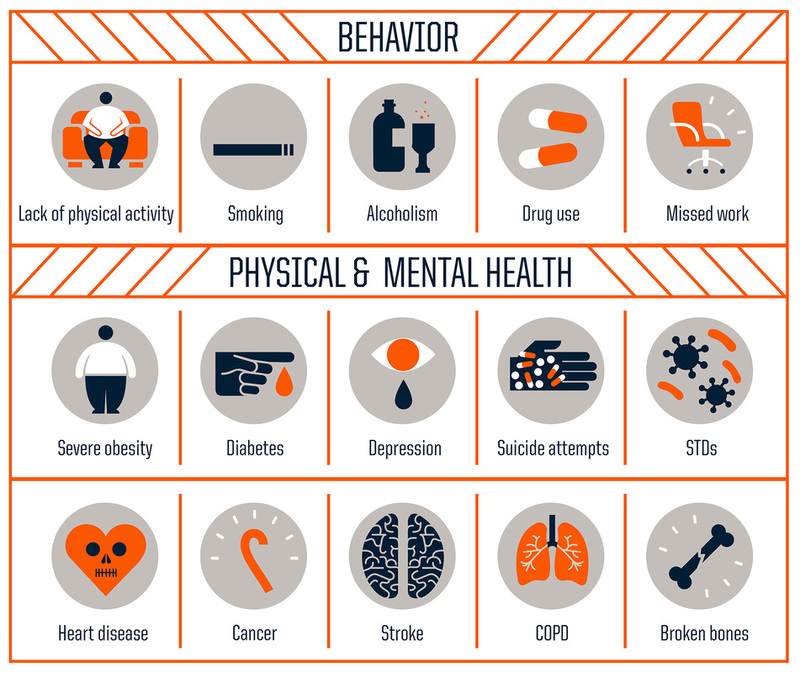 Lacking these essential human experiences produces unhealthy behaviors and coping mechanisms that increase the likelihood for negative outcomes like suicide attempts, truancy, substance abuse, homelessness and chronic disease. 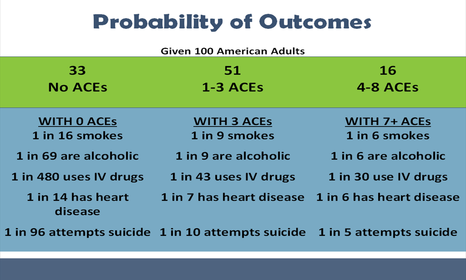 Adverse Childhood Experiences (ACEs) are not rare and they are not restricted to a socio-economic class, race or area. According to scientific, sociological and medical leaders, they are the number one determinant of overall public health and a crisis in our country. Clark County is currently accelerating its understanding of and response to ACEs and other kinds of trauma. 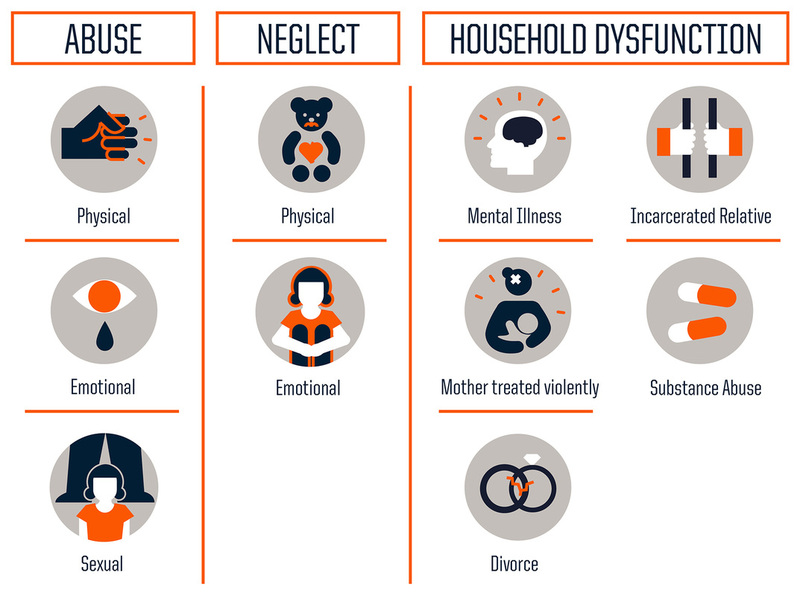 Though it can be disheartening to discover the physiological impacts of childhood trauma, it is encouraging to know that we can respond in ways that offset the negative biological impact. Dr. Anda, the doctor from the Center for Disease control that partnered with Dr. Felitti in the original study says, "If it's predictable, it's preventable." The most powerful positive impact on ACEs comes from the presence of a committed and caring adult. Dr. Felitti says that resilience comes from strongly held the belief that you matter to someone. ​We can do that! Visit the Be A Connector page on our site to find out how. A recently released report by the National Academies of Science and Medicine says that "several decades of research have shown that the promise and potential lifetime benefits of preventing mental, emotional, and behavioral (MEB) disorders are greatest by focusing on young people and that early interventions can be effective in delaying or preventing the onset of such disorders. National Priorities that build on this evidence base should include (1) assurance that individuals who are at risk receive the best available evidence-based interventions prior to the onset of a disorder and (2) the promotion of positive MEB development for all children, youth and young adults." For a more in depth look at Battle Ground's efforts to build resilience, please download the files below. The Resilience Implementation Strategy is the why and how of the graphic above. The Resilience Strategy is a copy of the graphic you can download and print. Thanks! Resilience is a reality! According to the Kauai Study by Emmy Werner, three things contribute to resilience. First, innate character and personality traits. Second, a caring adult presence and third, a sense of community connectedness. Investing in our kids impacts all three! If you want to increase your personal understanding of ACEs and the impact of trauma, the perspectives of our youth and how to participate in building resilience in our community, come to an iCAN Workshop. They happen at Connect BG Coalition partner locations. Check out the BE A CONNECTOR page for more info. "Positive Discipline" Jane Nelsen, Ed.D.